Last week, we were invited to model for Little Bear Dog Apparel‘s new Spring 2016 collection, and in today’s post, we would like to share some of the pawsome photos that were produced during that photo shoot. 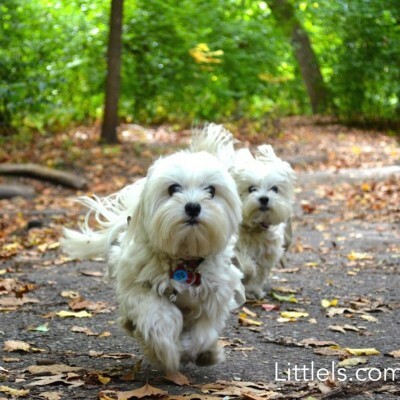 Little Bear Dog Apparel is a NYC-based company that specializes in handmade “people-style” clothing for dogs. Our furriend Mila (aka Little Bear), the official doggy face of the company, and her human parents are Colorado transplants, and most of their styles draw inspiration from the culture and nature of the Rocky Mountains area, with chambray, flannel, and corduroy often dominating other fabrics. Built to last a lifetime, Little Bear’s designs are functional and classic, yet will make your doggy stand out on the streets of New York. The photo shoot took place at the Lucky Dog bar in Williamsburg, one of few truly dog-friendly bars in NYC where dogs can play with each other, nap or dig in enclosed backyard while their parents are sipping on artisan beers, listening to live music and playing shuffleboard. After exchanging sniffs and wags with furry barklynites, we went straight to work. This time, we volunteered to try on beautiful bathrobes and bandanas, signature items of this Spring collection. 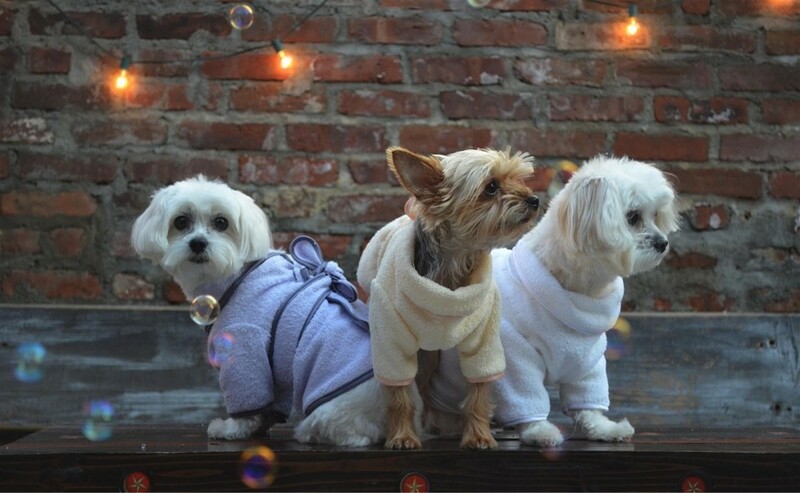 Feeling Fresh and Comfy in Little Bear’s Pawsome Bathrobes! 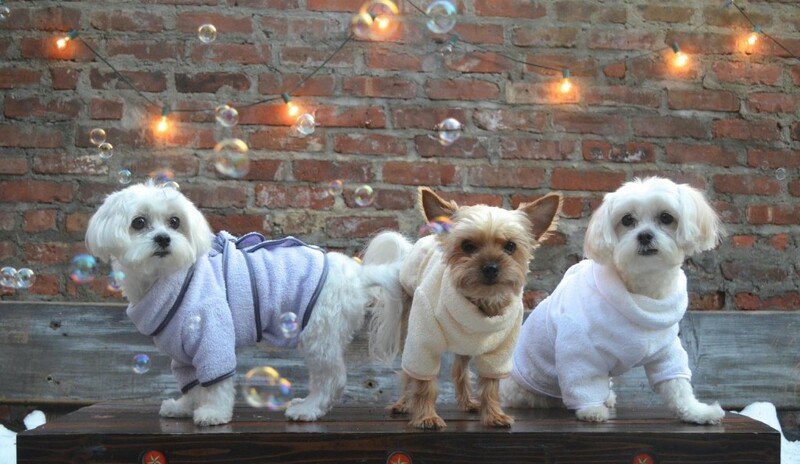 Fluffy Doggies Need Fluffy Robes! 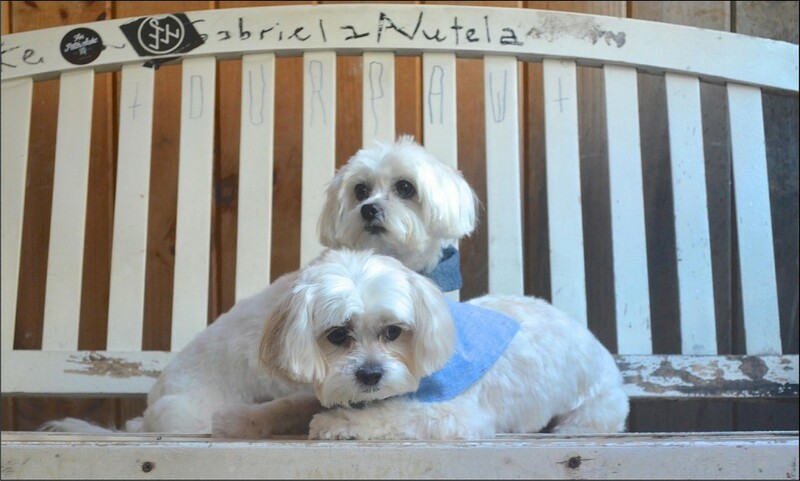 Doggy bandanas are never out of fashion, and classic nieck kierchifs from Little Bear will look great on dogs of any size, color or breed! Comfortable and lightweight, they can be quickly put on with a snap. Check out these and other pawsome items of Little Bear’s casual Spring 2016 collection on their site. If you live in New York City and would like your doggy to model for Little Bear, simply follow them on Instagram and Facebook, and look out for those announcements!